No knightly ensemble is complete without good head protection, and the Alaric Chainmail Hood is a fantastic option. 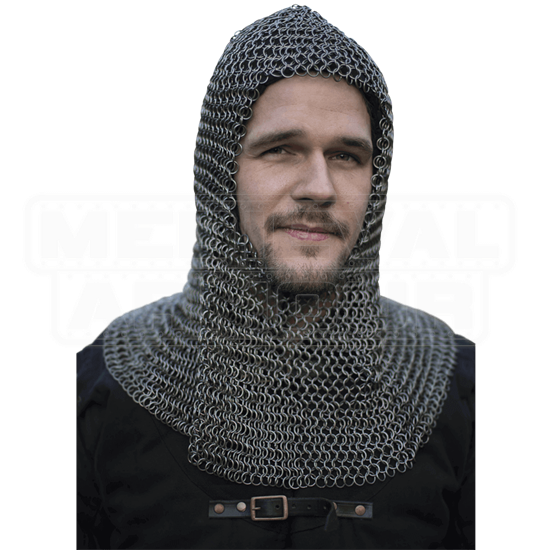 This chainmail piece covers the head, neck, and much of the shoulders in linked steel rings for comprehensive coverage. Due to the handmade nature of this item, there may be slight variations in its appearance. Each of the butted, mild steel rings interlocks with four other rings, creating a 4-in-1 design. The full coverage of this hood leaves just the face exposed. 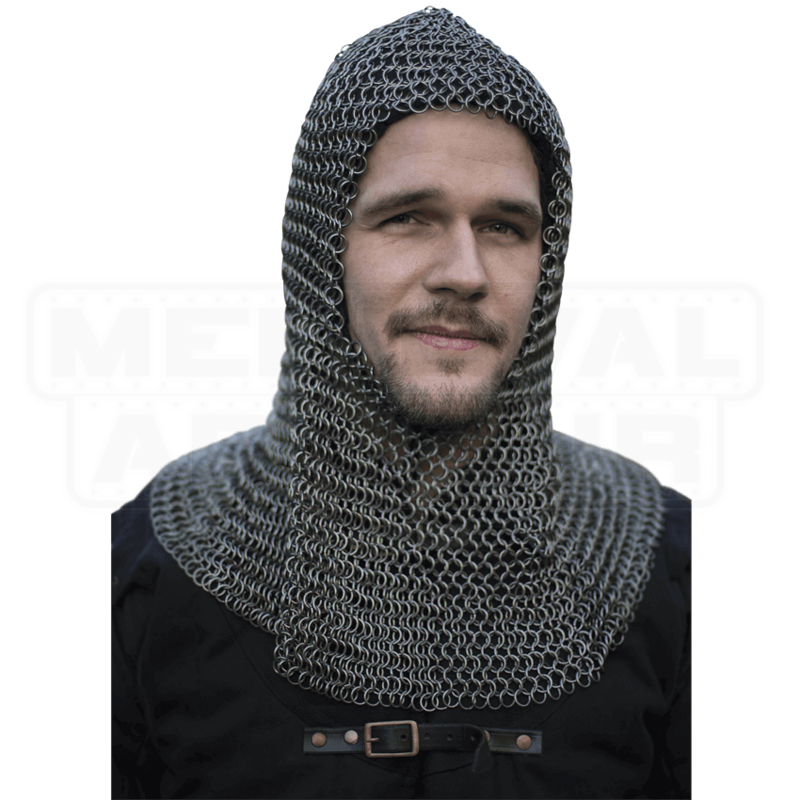 Wear this chainmail hood over an arming cap for comfort and safety.